Venue: Capital Karts, Unit 1, Rippleside Commercial Estate, Ripple Road, Barking, London, IG11 0RJ. The Capital Karts’ experience offers unbeatable racing, maximum enjoyment and a spot of friendly karting competition. Their fleet of karts are provided by RiMO – the most premium name in go karts. The Sprint race consists of a 20 minute time trial event which can be extended to a further 20 minute event. The sprint race is suitable for both Junior karters (7 - 15 years old) and adult karters (16 years and above). Conveniently located just fifteen minutes from the city centre, Capital Karts are ideally situated for visitors from across the capital and further afield to enjoy the best go karting London (and the UK!) has to offer. With the longest track in the UK, the experience leads to breakneck speeds of up to 45mph, challenging corners and optimum track surfaces, as well as space for up to 25 karts and longer lap times providing you with superb value for money. 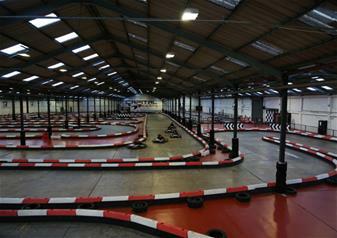 For a karting experience in London which simply can’t be beat, look no further! If you are looking for things to do or just want to test your skills around one of the top tourist attractions in London.